Tony Thornton began Illuminati Vocal Arts Ensemble in the fall of 2013, with a mission to create a professional-caliber vocal arts ensemble with the heart and dedication of an amateur chorus. Dr. Thornton is well acquainted with professional ensembles, as you can see from his biography. The Illuminati Vocal Arts Ensemble is beginning to realize Tony’s vision. A unique chamber chorus, we draw our volunteer singers from throughout Massachusetts and beyond. We have received rave reviews from audiences and newspapers, and have earned the respect of area cultural institutions. The ensemble performs choral miniatures and masterworks from all periods and styles, and collaborates with other community/professional organizations. Active as a conductor, educator, clinician, and author, Tony Thornton received his Bachelor of Music degree in Music Education and Voice from Westminster Choir College, a Master of Music degree in Choral Conducting from Louisiana State University, and his Doctor of Musical Arts degree in Choral Conducting and Historical Musicology from the University of Arizona. He studied conducting with Joseph Flummerfelt, Kenneth Fulton, Frauke Haasemann, Margaret Hillis, Bruce Chamberlain, and Donald Neuen. Trained first as a singer, Dr. Thornton has performed as a tenor soloist throughout the United States, Europe, and Asia. As a member of the Westminster Choir, he performed at the Spoleto Festival in Italy and the United States, and he has recorded with Leonard Bernstein, Riccardo Muti, Robert Shaw, Claudio Abbado, and Zubin Mehta. He sang for seven years as a member of the Grammy Award-winning Robert Shaw Festival Singers. As a guest conductor and clinician who is active on the national and international choral scene, Dr. Thornton has worked with over 300 women’s, men’s, and mixed choruses in public schools, colleges, churches, community, and professional organizations in 24 states, Japan, and throughout Europe. Dr. Thornton is the author of The Choral Singer’s Survival Guide (giamusic.com) and he maintains a choral series in his name at Colla Voce Music. 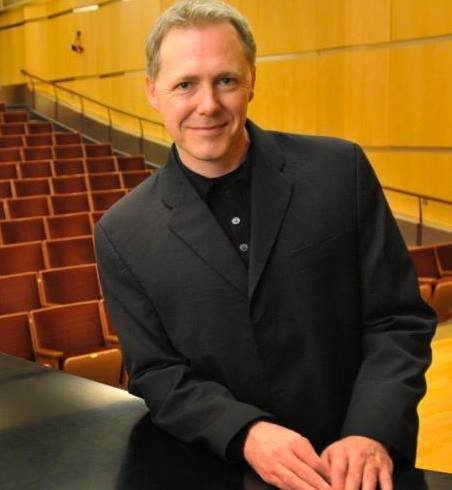 He is currently Director of Choral Studies at the University of Massachusetts Amherst, where he oversees an extensive choral program, guides the graduate program in choral conducting, and serves as Director of the Choral Area for the UMass Summer Conducting Institute. He is the Founding Artistic Director of Illuminati Vocal Arts Ensemble. Dr. Thornton holds active memberships in the American Choral Directors Association (ACDA), Chorus America, International Federation for Choral Music (IFCM), National Association of Teachers of Singing (NATS), and the National Collegiate Choral Organization (NCCO). He is President of the Massachusetts chapter of the American Choral Directors Association. 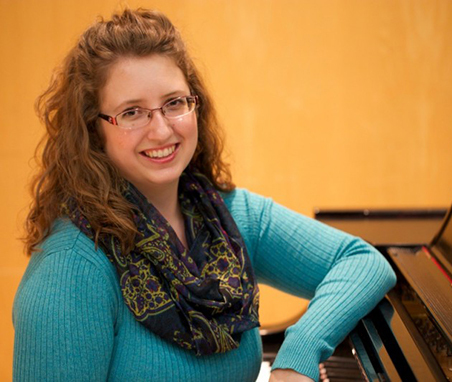 Sarah Ehle received her Bachelor’s degree in Piano Performance from Wheaton College, and her Master’s degree in Collaborative Piano from the University of Massachusetts Amherst. Her experience includes working with choirs as well as collaborating with musicians of almost every instrument, working as rehearsal pianist for a student opera program, and playing for several student musical theatre revues. Ms. Ehle is on staff at the University of Massachusetts Amherst, where she works with the UMass Chamber Choir and several studios. She also accompanies Suzuki group classes at the Northampton Community Music School, and has worked as a staff accompanist at the Hartt School of Music in Connecticut. Our sixth season culminates in June with the world premiere of "A Passion for the Planet" by the noted local composer Geoffrey Hudson, a 45-minute long work for chorus, orchestra, soprano and baritone soloists, and narrator. Entrance into the ensemble is by audition only (see audition process below). Dr. Thornton seeks singers with considerable choral experience. While perfect sight reading is not required, all singers must fully prepare repertoire before the first rehearsal. Illuminati makes music from the beginning. Dr. Thornton is building an ensemble with a beautiful, communicative sound: tall, warm, vibrant, and round vowels; a wide dynamic palette; an inner rhythmic drive; and in-tune and balanced resonance. In the soprano section he is looking for lyric, energized purity; in the alto section a rich, full sound; in the tenor section a lyric, high/forward, yet warm sound; and in the bass section a rich baritone sound with forward placement that is not overly dark. If you are interested, please complete the form here and we will email you an audition confirmation with possible times. The audition takes approximately ten minutes. Singers will be asked to perform scales using a variety of articulations (legato, staccato, and marcato) and dynamics to demonstrate color, range, quality, and flexibility. A segment of the audition will emphasize sight-reading and tonal memory (with accompaniment). Finally, each singer should prepare his or her vocal part of this PDF excerpt from BWV 76 (Die Himmel erzählen die Ehre Gottes, measures 20-36 only). The excerpt will be sung without accompaniment. Singers should perform as close to quarter=96-100 as possible. German is preferred, but a neutral syllable may be used. If you have any questions, please email illuminatiensemble@gmail.com. Music is a primal art, central to every human culture, and singing is its most primal form: unmediated by any instrument, rising directly from our lungs, throats and souls. But from this primal simplicity an extraordinary body of compositions has emerged over the centuries – the choral literature that weaves many voices together into haunting and sonorous tapestries of sound – one of the highest achievements of human civilization. The singers of Illuminati Vocal Arts Ensemble have for the past five years been preparing for our community concert programs of some of the most beautiful choral music ever written, because this music is our joy, a profound expression of the human spirit, and a light no darkness can put out. Though many of us are professional musicians, we are not paid for this work. We do pay our extraordinary conductor, Dr. Tony Thornton, for his leadership; we pay our accompanist and other instrumentalists; we pay for rehearsal and performance space. The money you help us raise will allow us to continue to explore extraordinary repertoire rigorously and with passion. Music has the power to move and inspire, to tell important stories, and to bring communites together. The Illuminat Vocal Arts Ensemble performs choral pieces and masterworks from all periods and styles, ofen in collaboraton with other musical organizatons throughout the Pioneer Valley. Our sold-out concerts atract a discerning audience that shares a passion for music performed at the highest level. Comments from audience survey last season speak of "ravishing precision," "superb directon," and "sheer love of beauty." In our our sixth season, we will offer three programs exploring some of the enduring forms of choral music, culminatng in a world premiere in June of "A Passion for the Planet" by the noted local composer Geoffrey Hudson, a work that holds up the mirror of art to the dauntng challenge of climate change. For this excitng event we will be joined by members of other area ensembles and The Young People's Chorus. Would you like to support Illuminati, and see your company listed here?